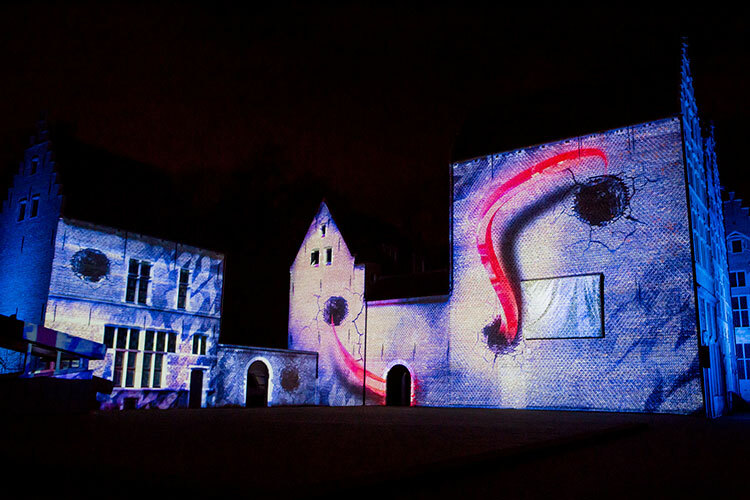 Painting with Light has created a 3D mapped projection artwork for the Hangar 58 event space at Bokrijk in Limburg, one of the region’s most important historical landmarks and a popular open air museum. The permanently installed show was the brainchild of Hanger 58’s owner Wim Grommers, who approached Painting with Light’s Luc Peumans to create storyboards, video artwork and a library of standard content to be made available to various clients renting the space, with custom material available on request. 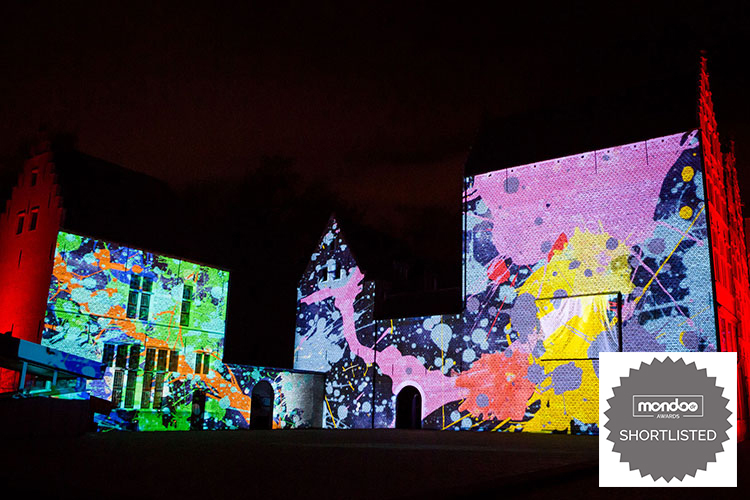 He wanted something spectacular and eye-catching to set the venue apart and add value to the events hosted there. The idea is that guests can view the show through the large glass walls of the modern Hanger 58 in the winter and enjoy the large format show standing outside in the summer evenings. 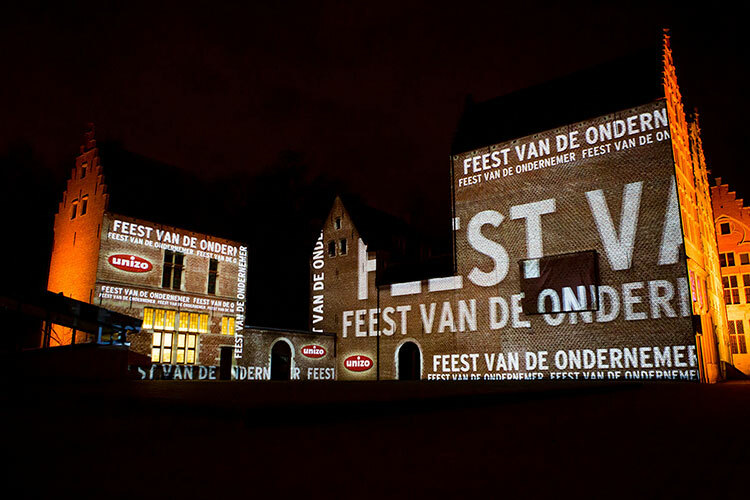 When running, the projection images measure approximately 40 metres long and 20 metres tall and cover a series of different shaped buildings set at 90 degrees to one another in one of the historical villages replicated at Bokrijk. 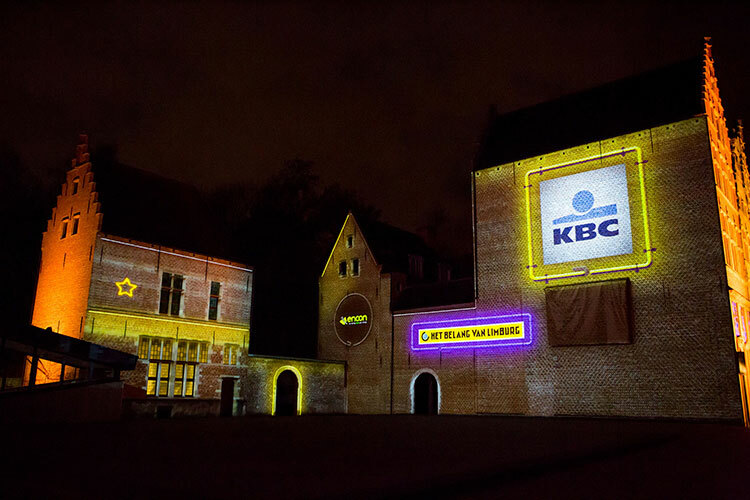 Painting with Light undertook a complete 3D scan of the building facades before creating the multi-million pixel ‘map’ and then Luc and his team, including Bart Tauwenberg from New Solid, started work on the content – making it humorous, fun and entertaining. The shows, lasting between 5 and 10 minutes, precisely match the lines of the buildings. Having the two separate surfaces means the images can be split to help tell the story with contrasting and complimentary images. This presents a challenge in getting the harmony between the two elements just right, but allows a dual narrative to be running. 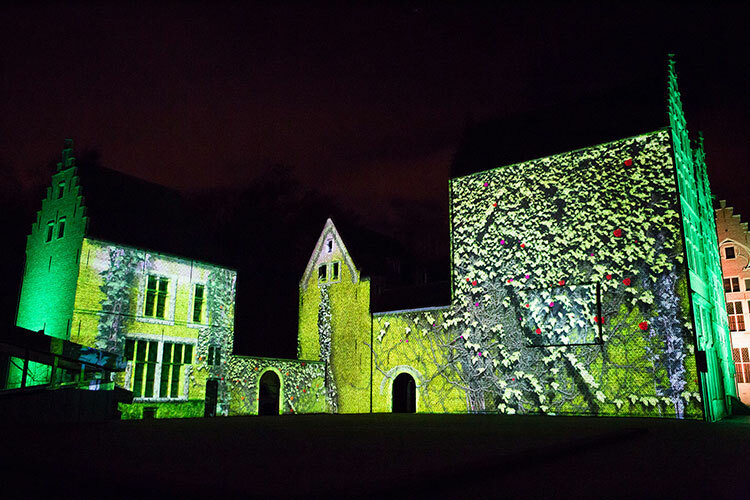 A d3 4×2 pro media server stores and runs the content chosen for its mapping capabilities and the inbuilt 3d visualizer that enabled the team to present an accurate replication for sign off by the client. Jo Pauly and Michel Stroobants from Visual Solutions completed the d3 media server programming and projector alignment. The projections are fed by two Digital Projection (DP) Titan Quartz 20K machines – both located inside Hangar 58, one pointing directly at one set of building surfaces and the other firing across at a 45 degree angle. The initial ‘library’ shows that Luc and the team have produced feature sections which can easily be customised to include sequences and images specific to a client. Alternatively, completely bespoke artwork can be produced from scratch if required. 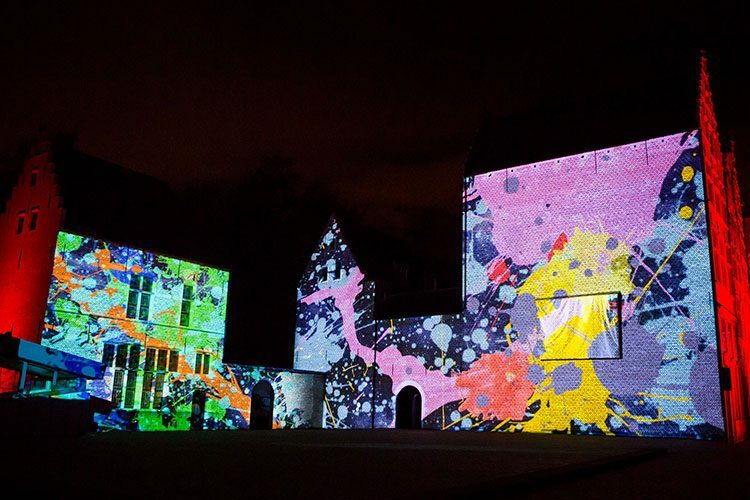 The projection installation has immediately been a hit with individuals and organisations organising events in Hanger 58, and is proving a highly flexible solution for their clients to make their shows stand-out.